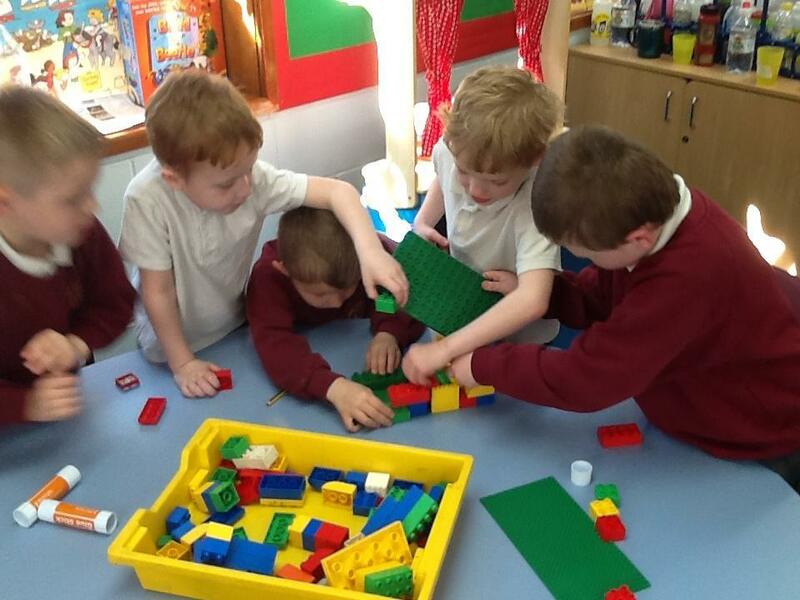 A warm welcome back to Fallow Class! 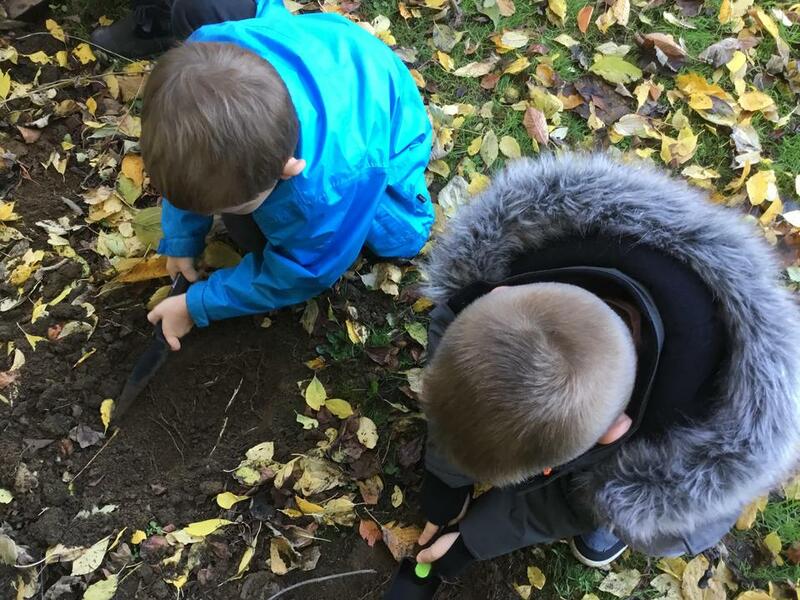 I hope that you have all had fun-filled Christmas holidays and are ready to come back to school for all the exciting learning we have planned this term. 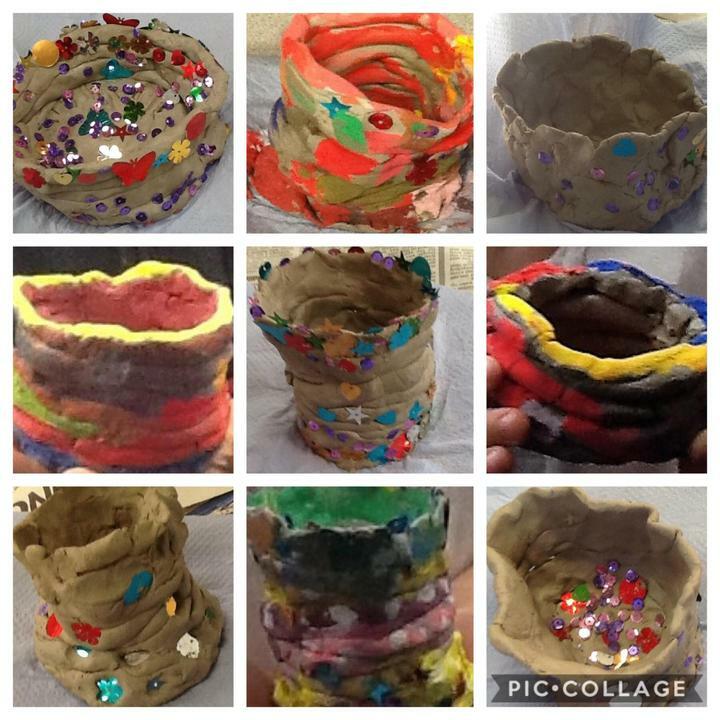 DT – We will be spending our first week back at school by designing and making our own clay pencil pots using the ‘coil’ technique. 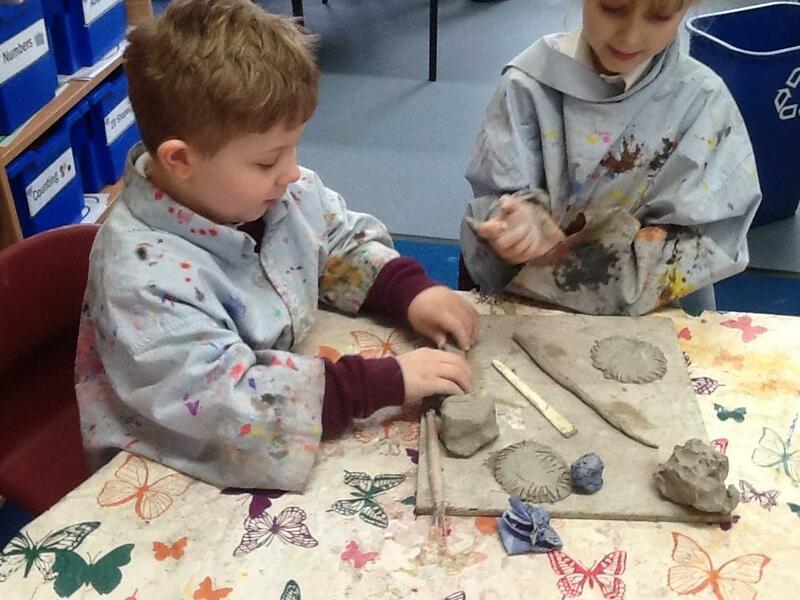 The children will be learning lots of practical skills this week, such as using clay to roll, press, coil and mould to create their pot. 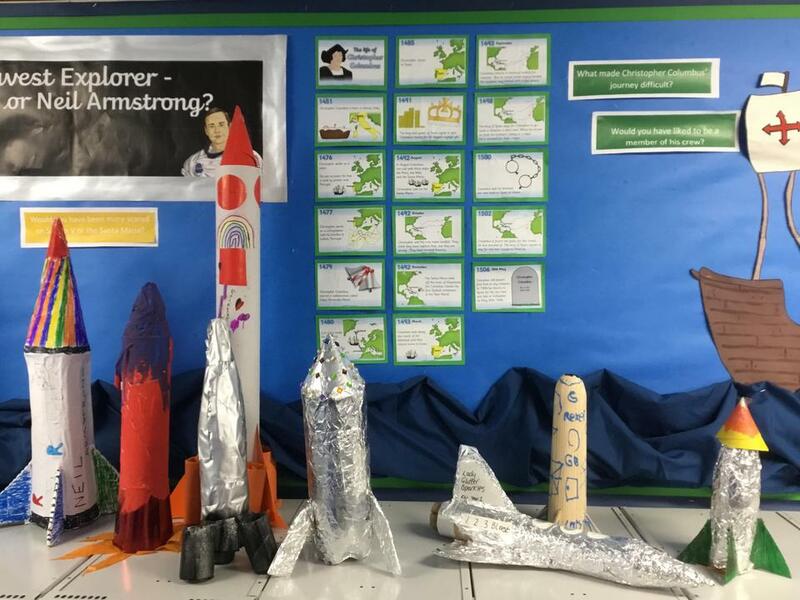 After our DT week, we will be getting started with our topic, ‘Explorers’. 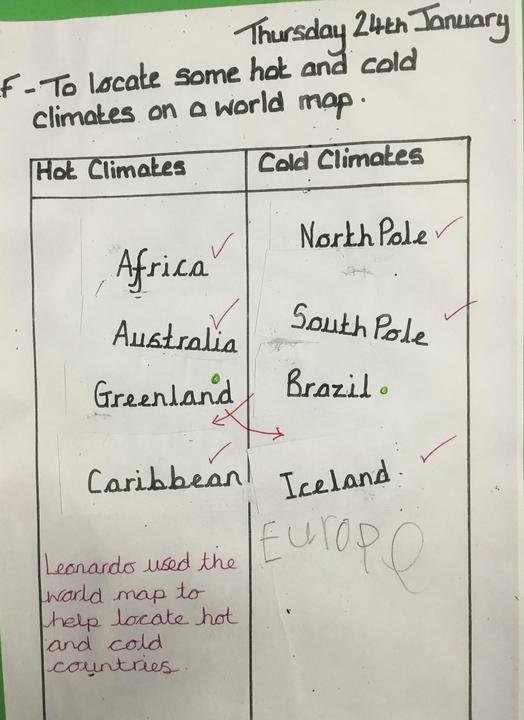 This topic will predominantly have a Humanities focus – Weeks 2 and 3 will be spent doing some Geography learning all about maps and our world. 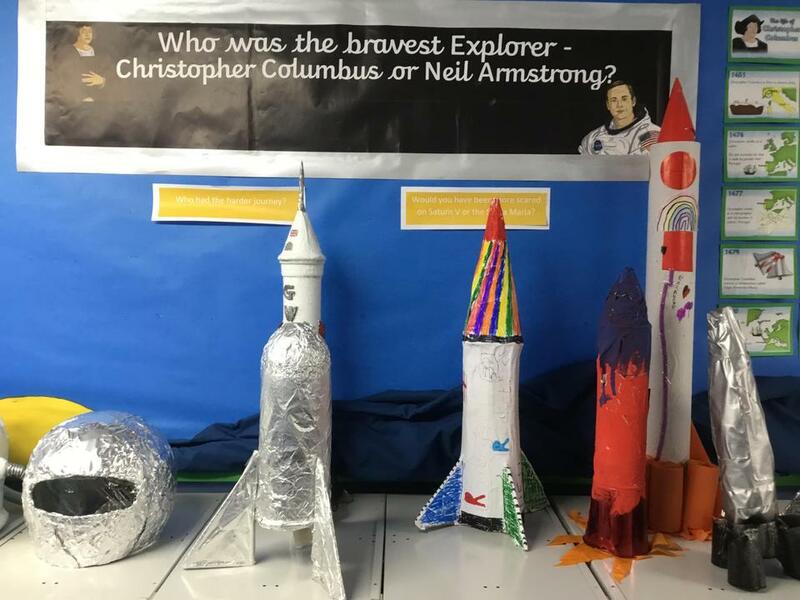 We will then move onto looking at the famous explorers Neil Armstrong and Christopher Columbus and learning about why they were important historical figures. 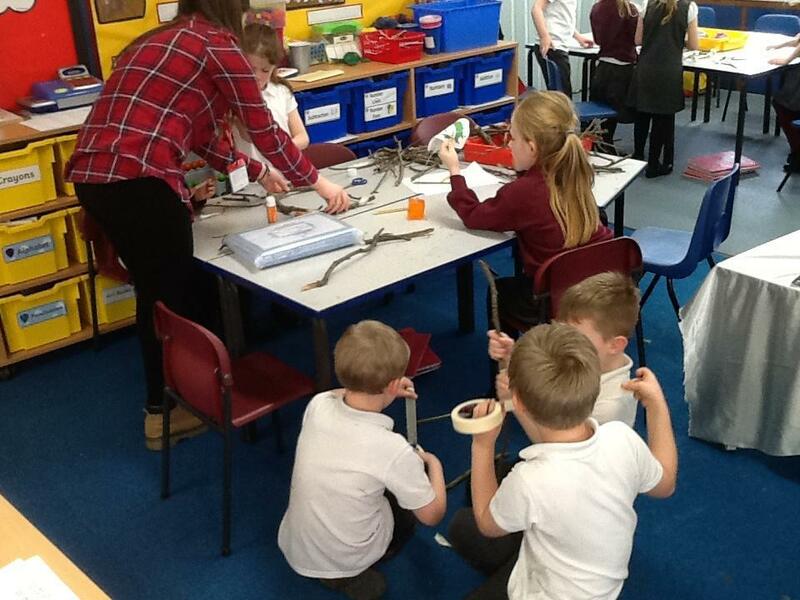 Later on in the term, our Science focus will be on Materials. 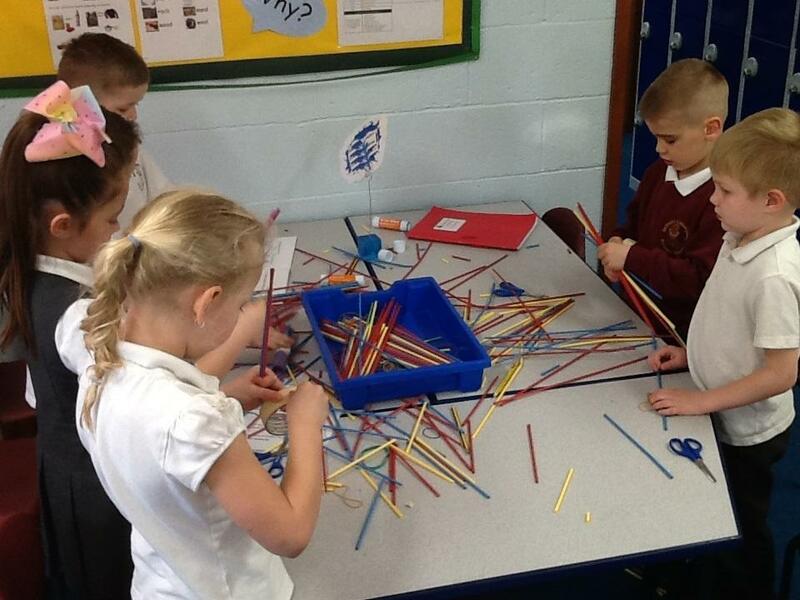 We will be learning to identify and sort different materials, as well as comparing their different properties. 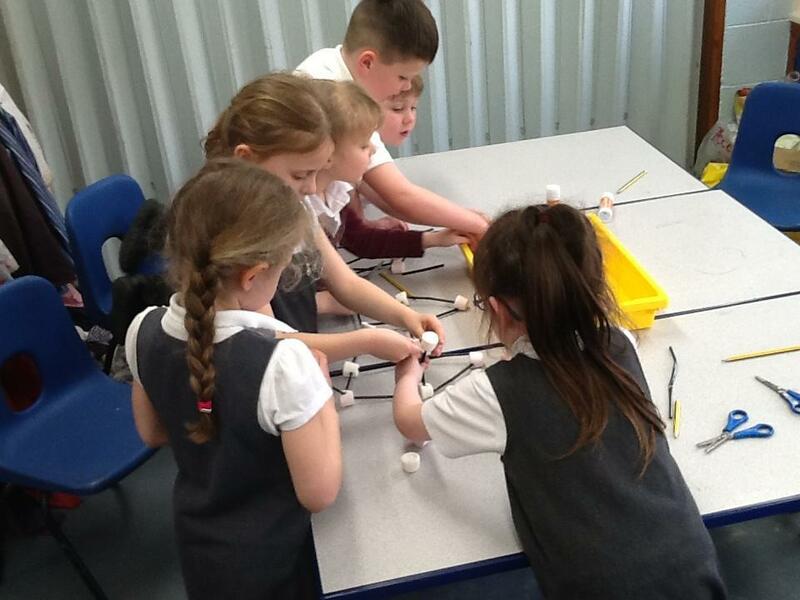 Of course, we will also be doing lots of fun science experiments to practise our scientific enquiry skills! 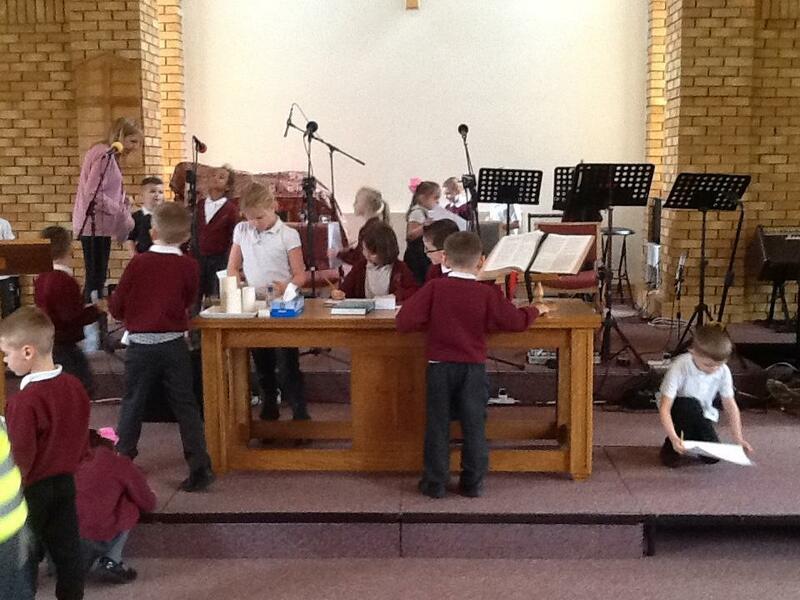 So, all in all, a very exciting term ahead! 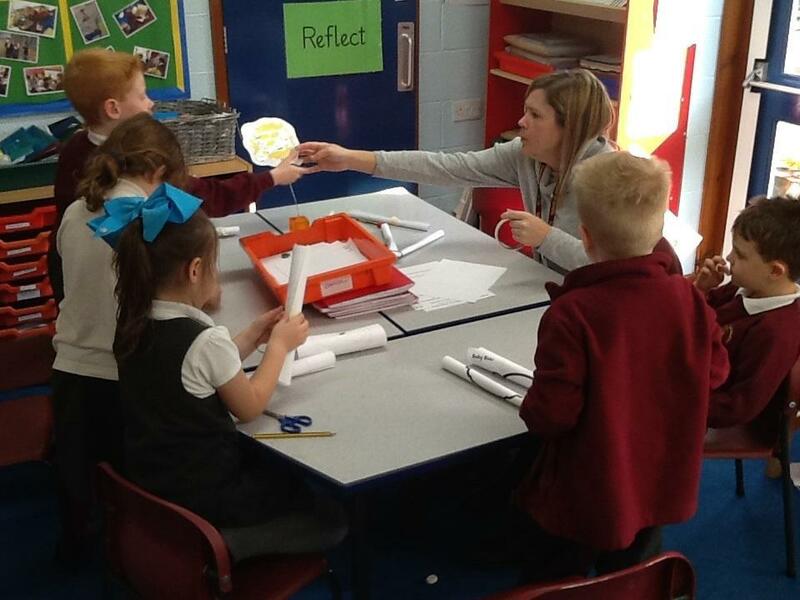 Reading in Fallow Class consists of independent reading and guided reading. 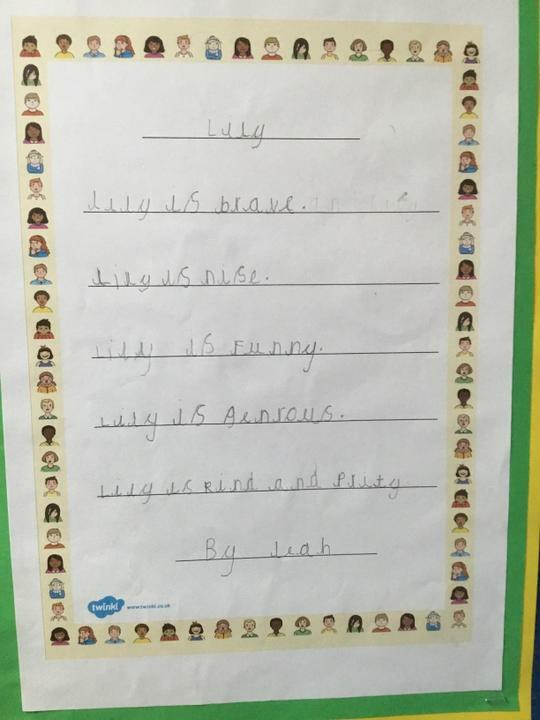 The day in which your child reads with an adult may vary, so could you please ensure that they have their home reading books and reading diary in their book bag each day. 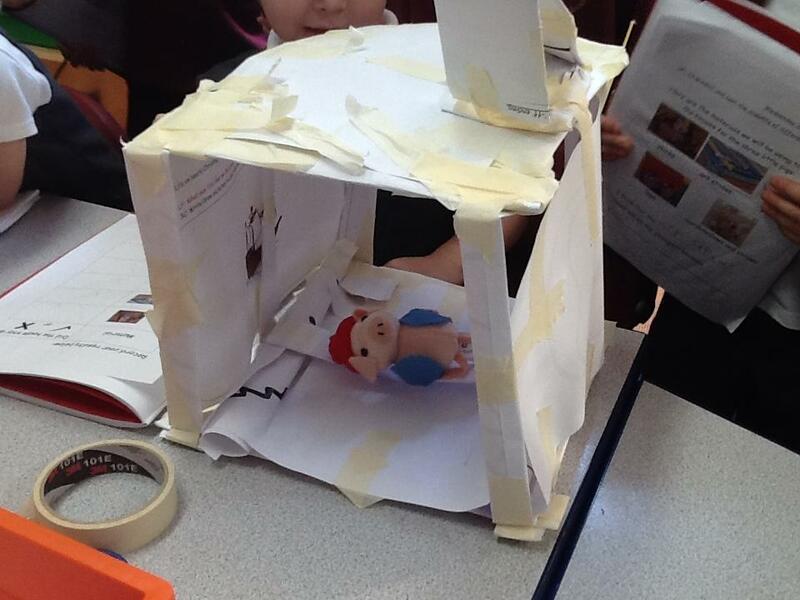 Reading at home is greatly encouraged in Fallow Class – this does not always have to be their reading book. 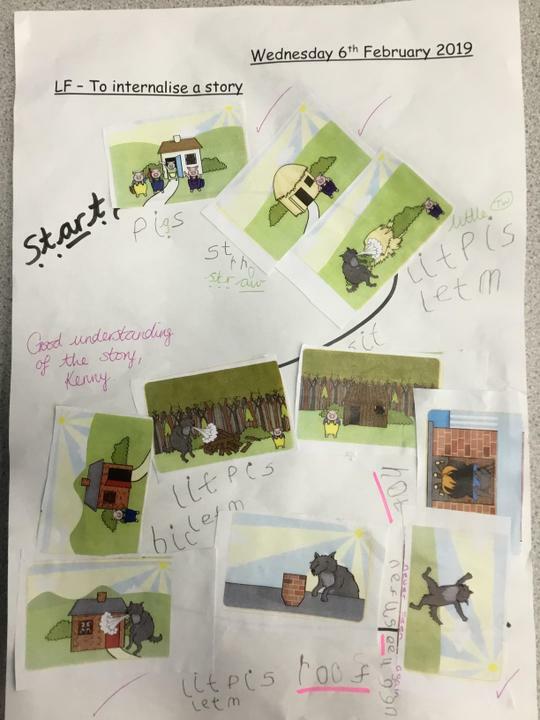 Reading any form of text, which could include comic books, magazines, library books, information books etc, is extremely beneficial to your child’s progression. 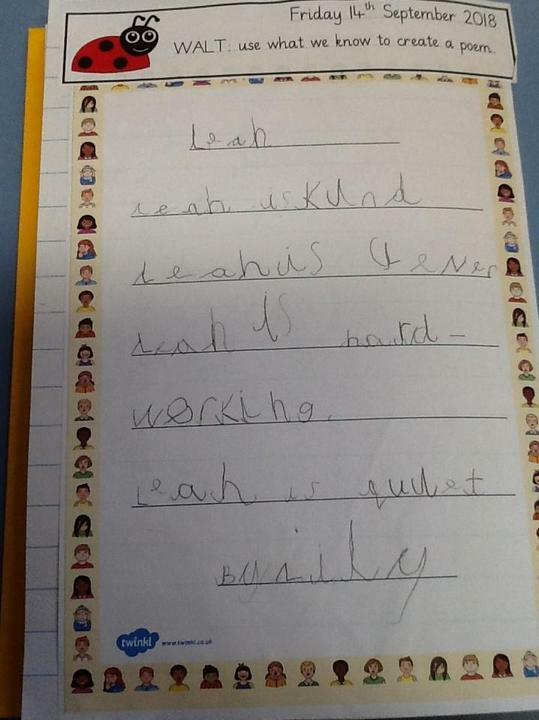 As well as regular reading at home, the completion of homework is very important to consolidate your child’s learning. 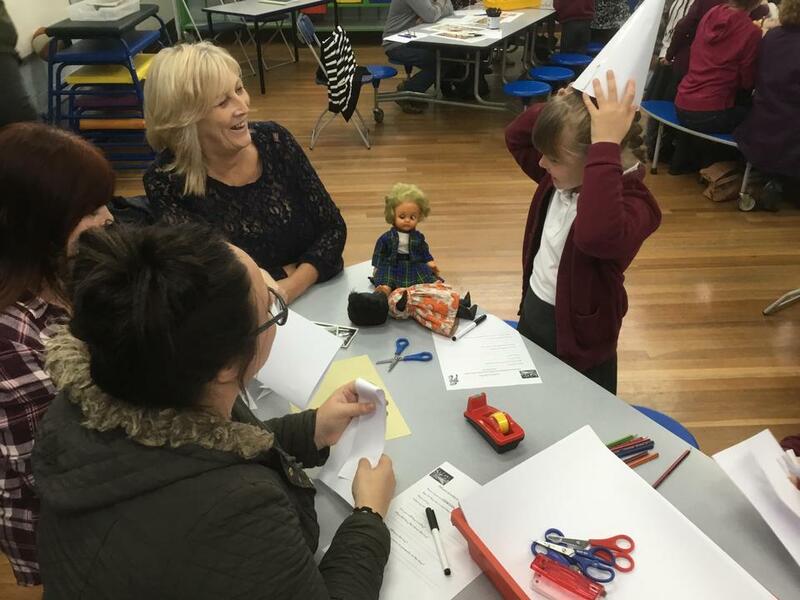 We will hand out topic-based tasks to complete on a fortnightly-basis. 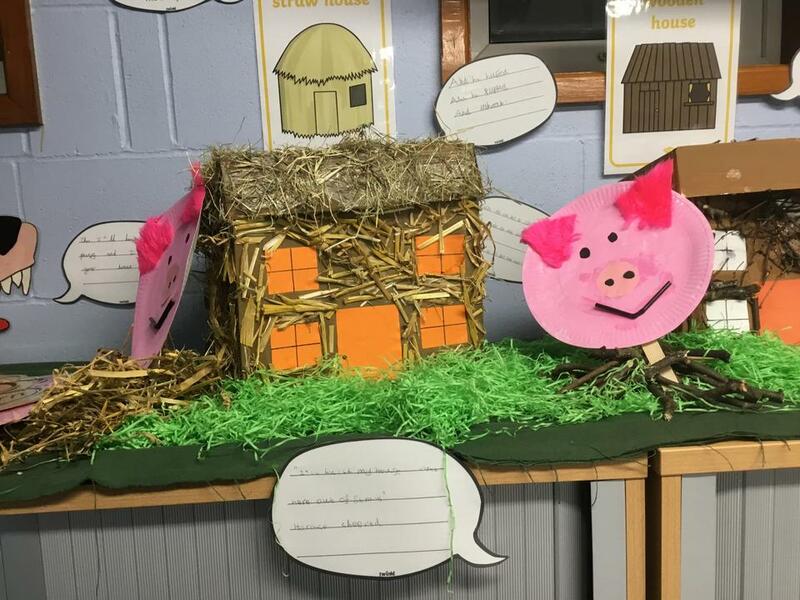 These tasks will change with each topic, so your child will receive new tasks after Easter. 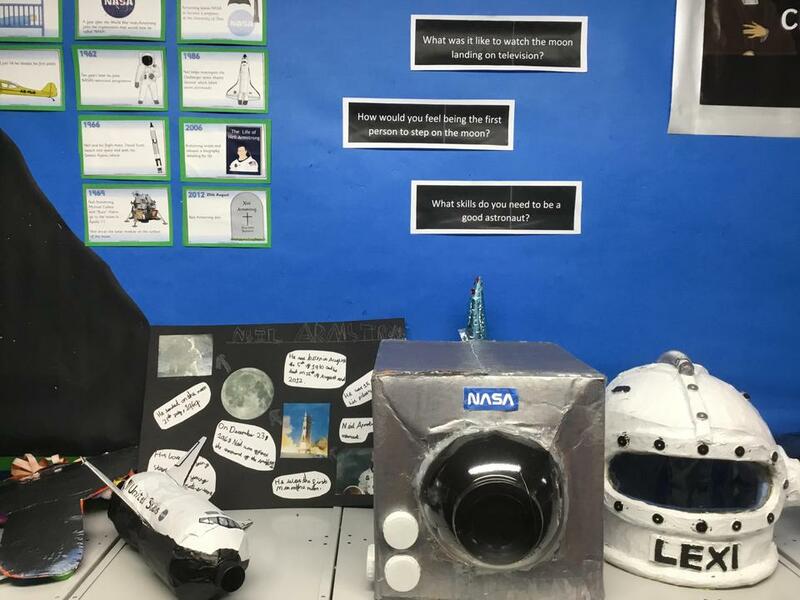 You will also have received a letter about the new Knowledge Organisers that we will be sending home at the start of every topic to inform you about your child’s current topic learning – Please practice these historical/scientific facts and dates with your child as this will really support them with their learning in the classroom! 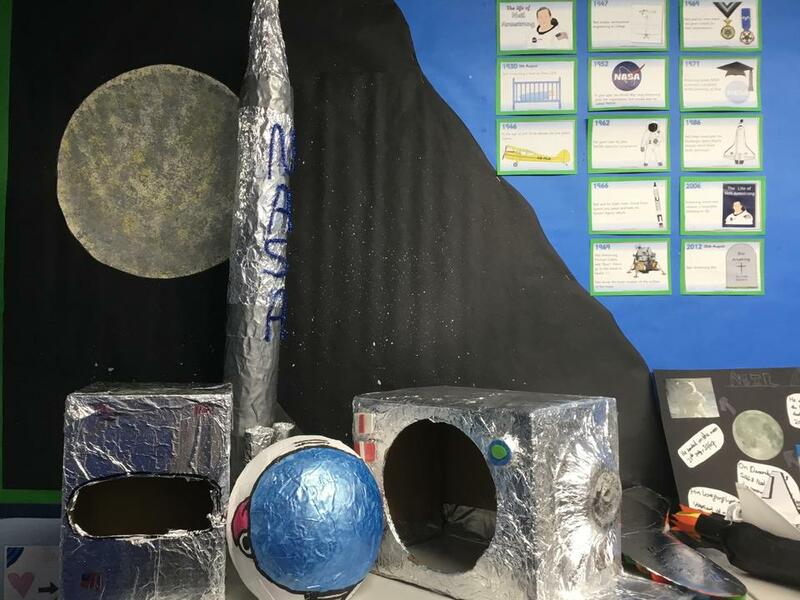 If your child completes all their tasks before this, please just ask and I will be happy to think of some more to keep them busy! 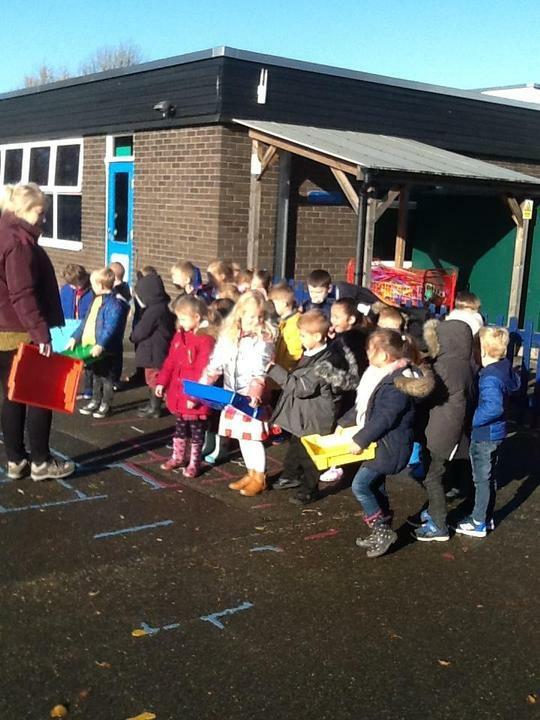 My door is always open for any queries, concerns or anything you wish to discuss so please do not hesitate and feel free to pop in for a chat any time. 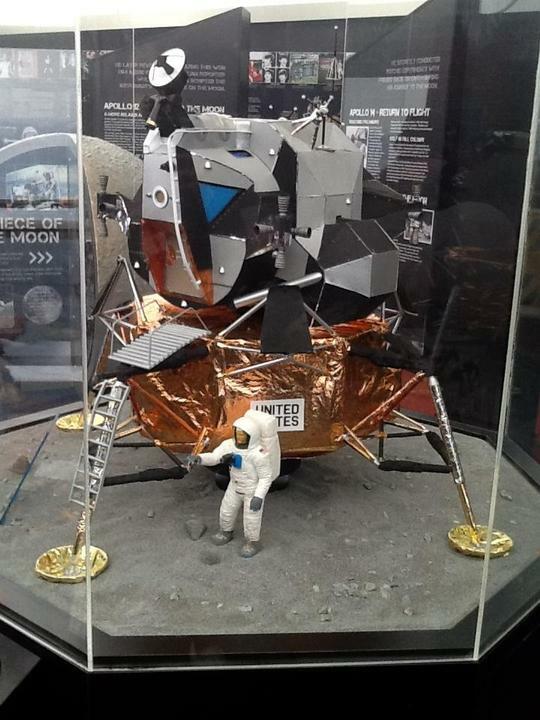 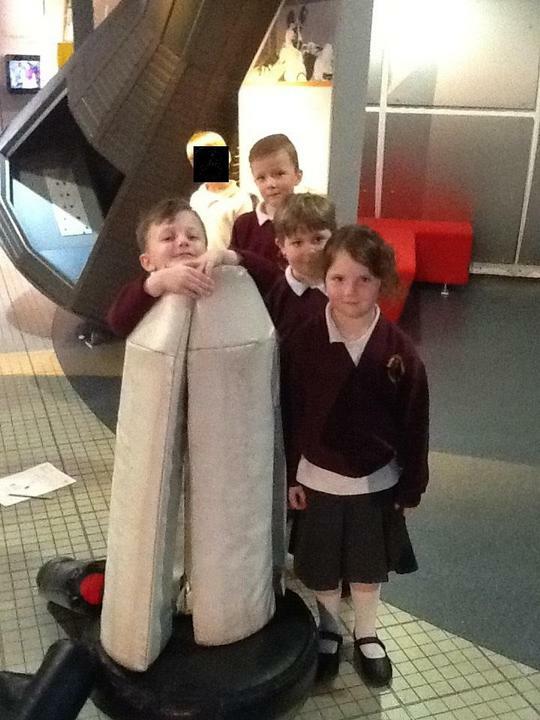 We have really enjoyed our learning about space and the moon landings this term, so we were very excited to visit the National Space Centre with Elk Class. 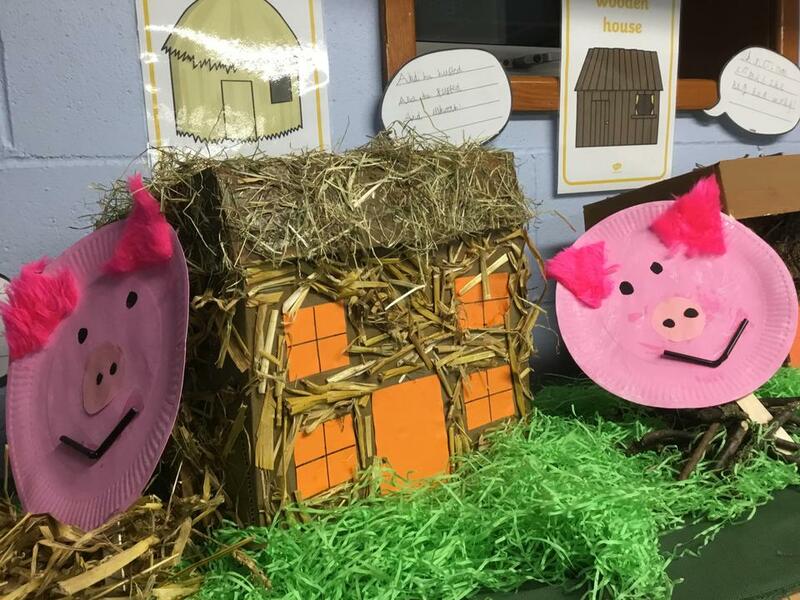 The Three Little Pigs Houses! 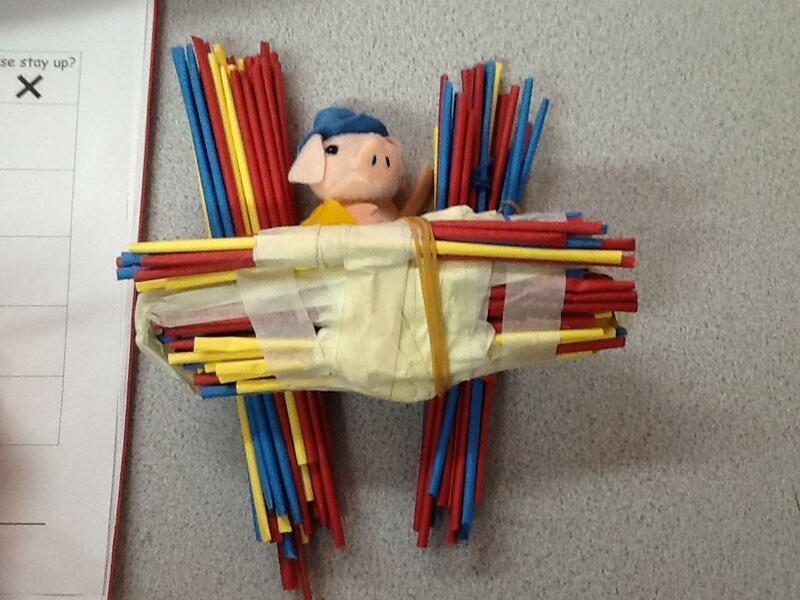 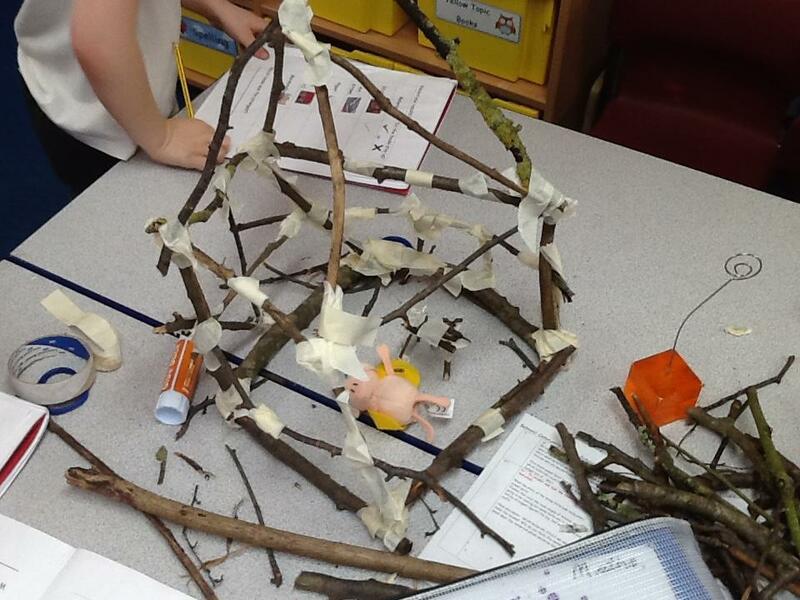 We have used our knowledge about the properties of materials to build some great houses for the Three Little Pigs. 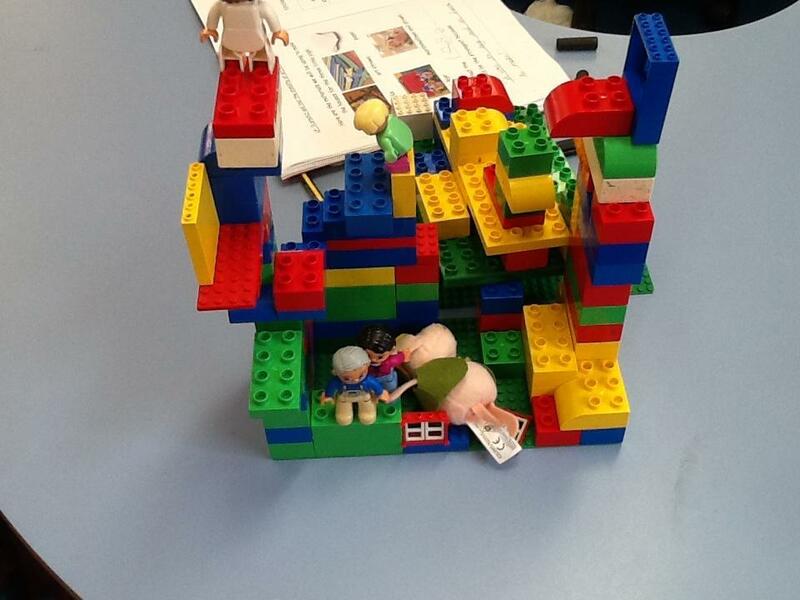 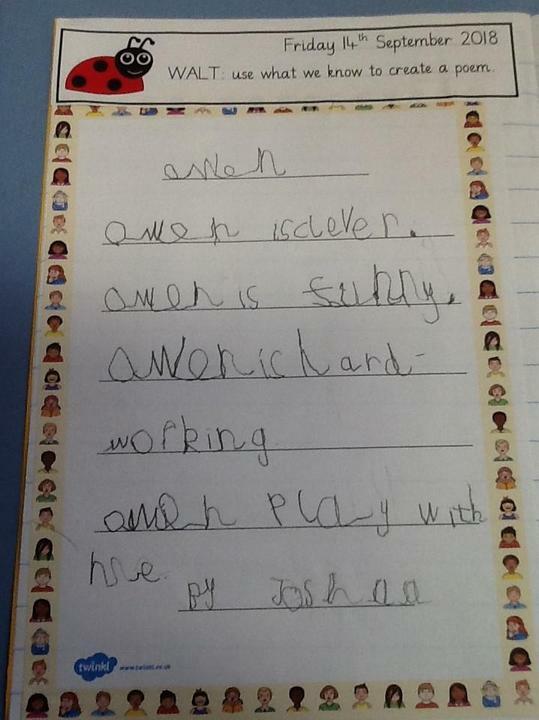 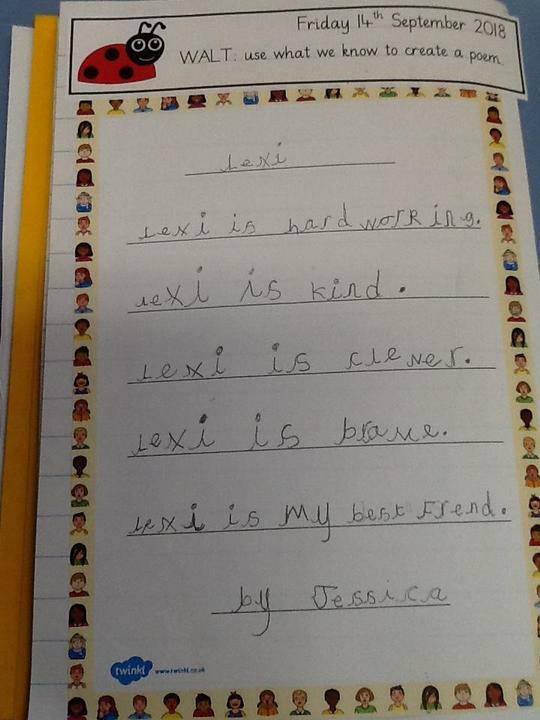 I was really impressed by the children's team work! 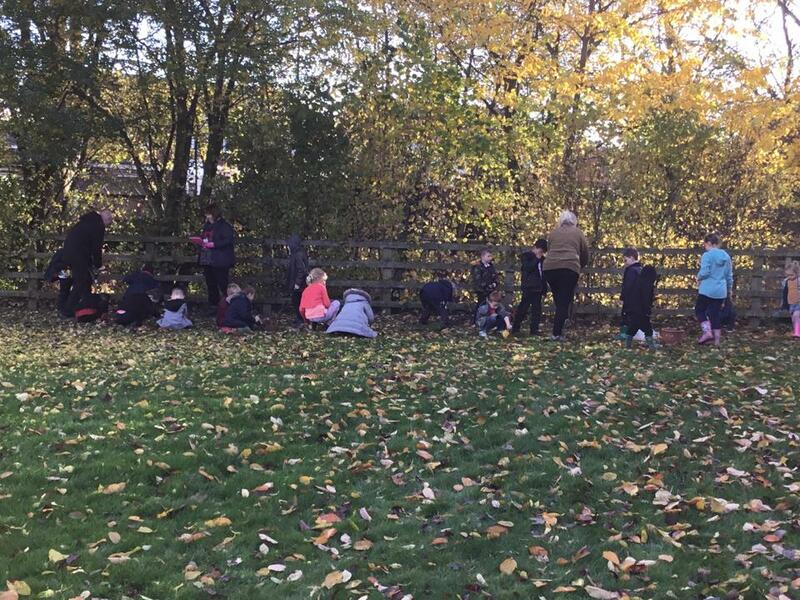 We were so excited to find frog spawn in the pond in our wild life area! 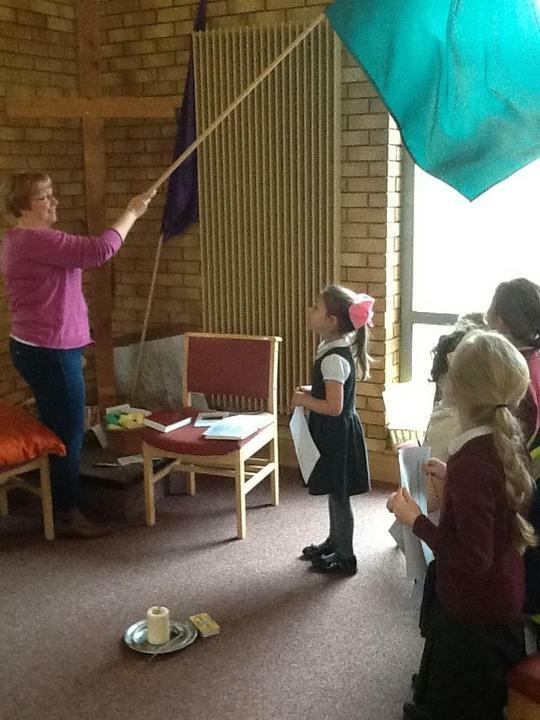 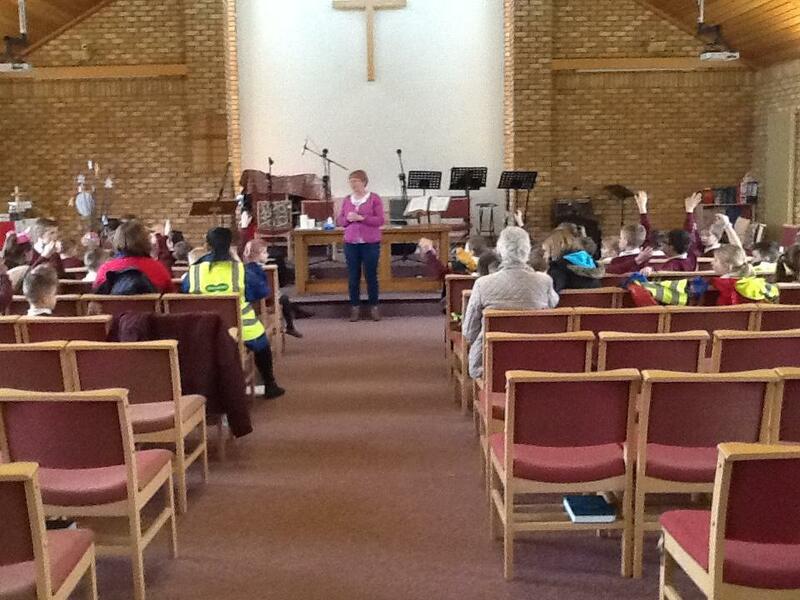 We recently went with the children in Elk Class to the Harrowby Lane Methodist Church. 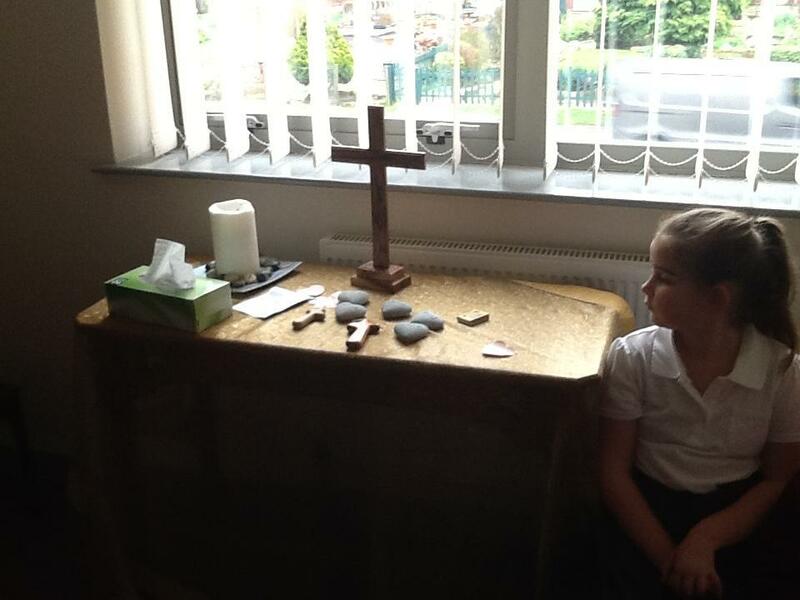 We really enjoyed learning more about Celebration - in particular Baptism - and looking at the various artifacts in the church. 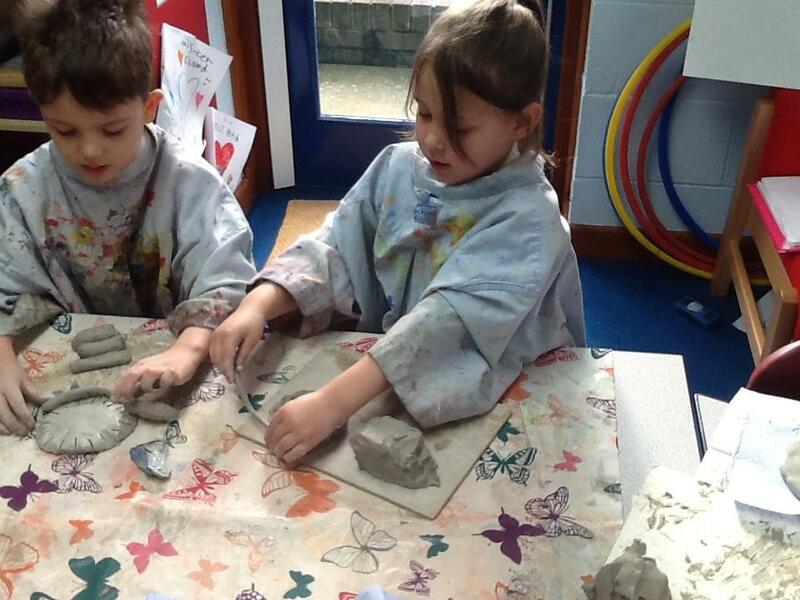 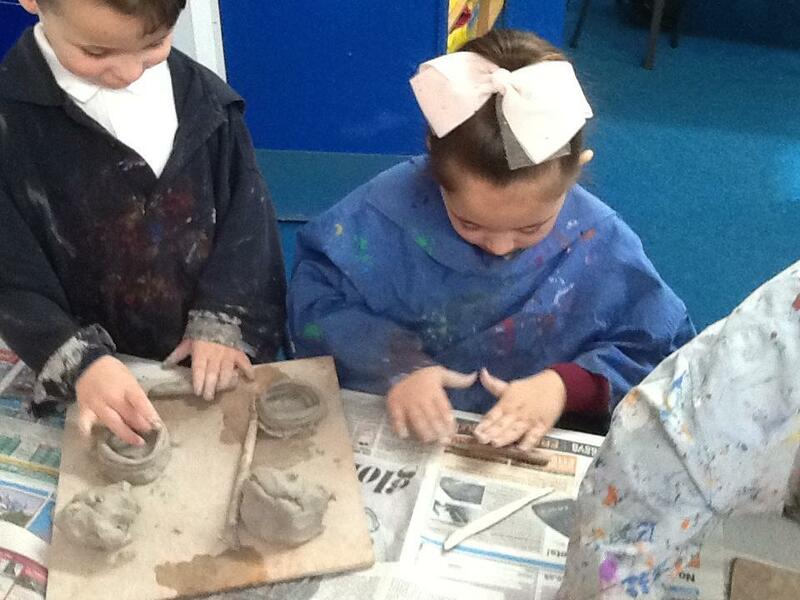 The children really enjoyed designing and making their clay pots. 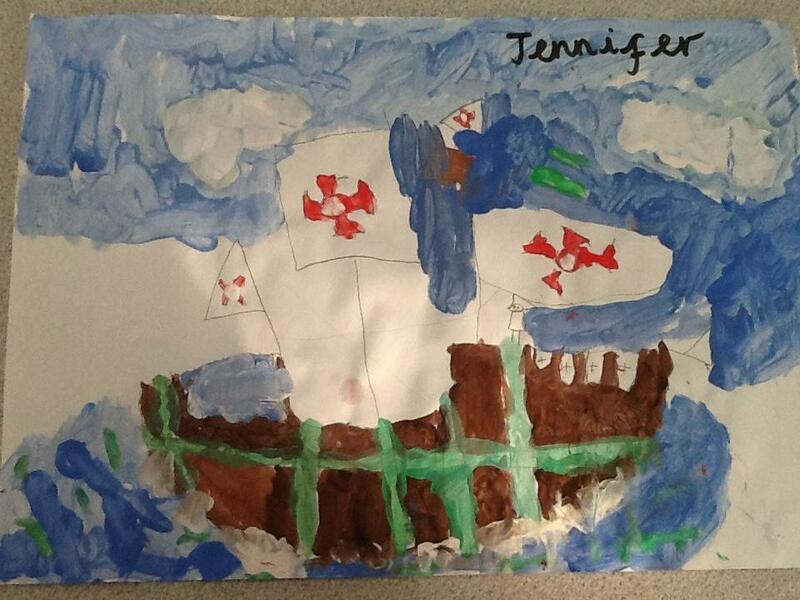 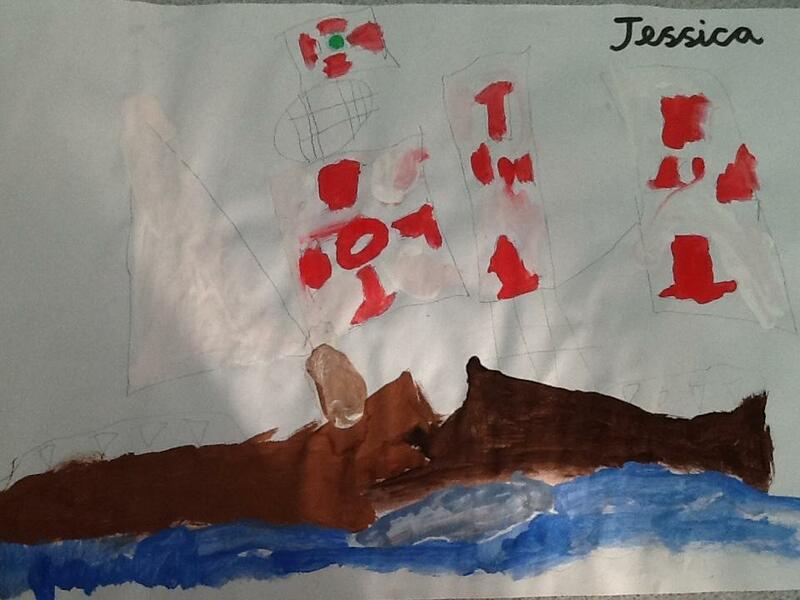 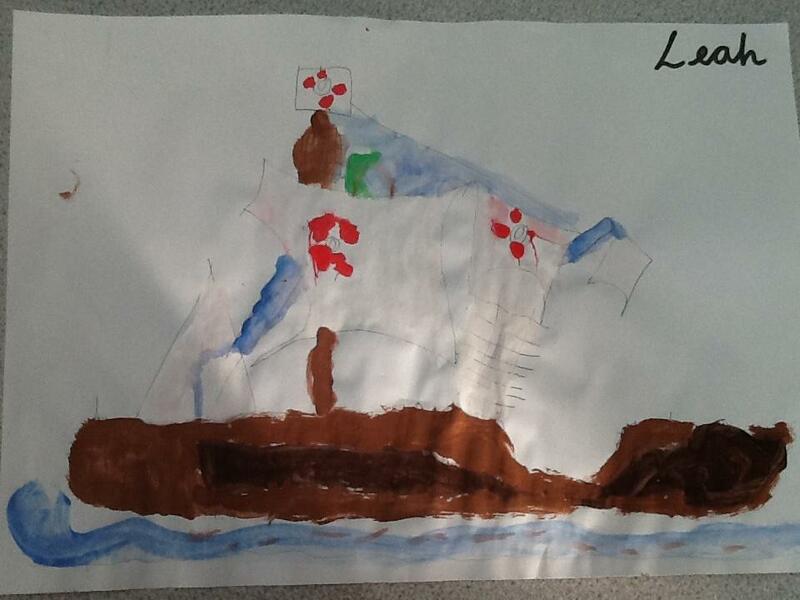 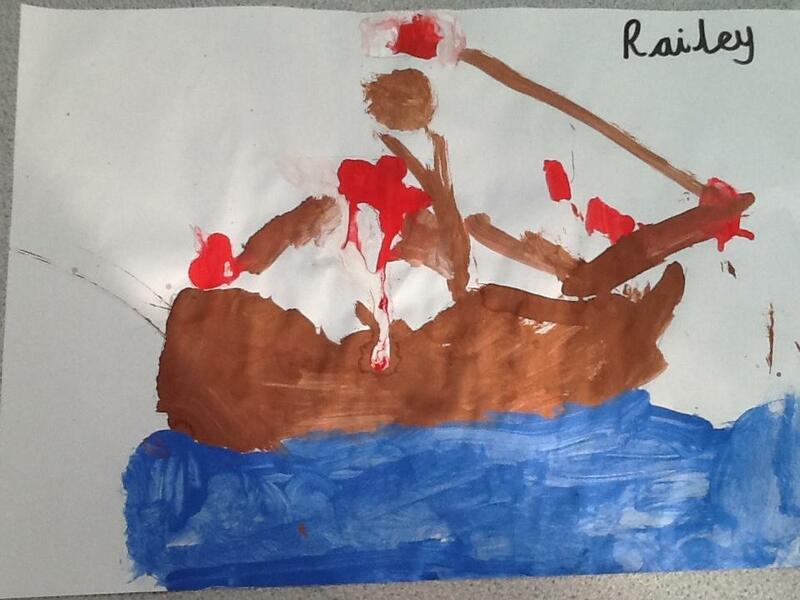 We are enjoying our learning about Christopher Columbus and his ship The Santa Maria. 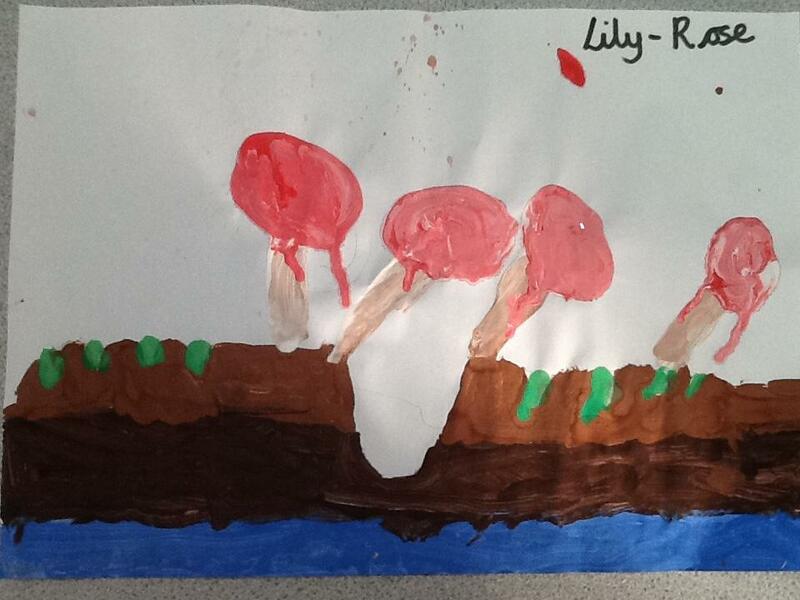 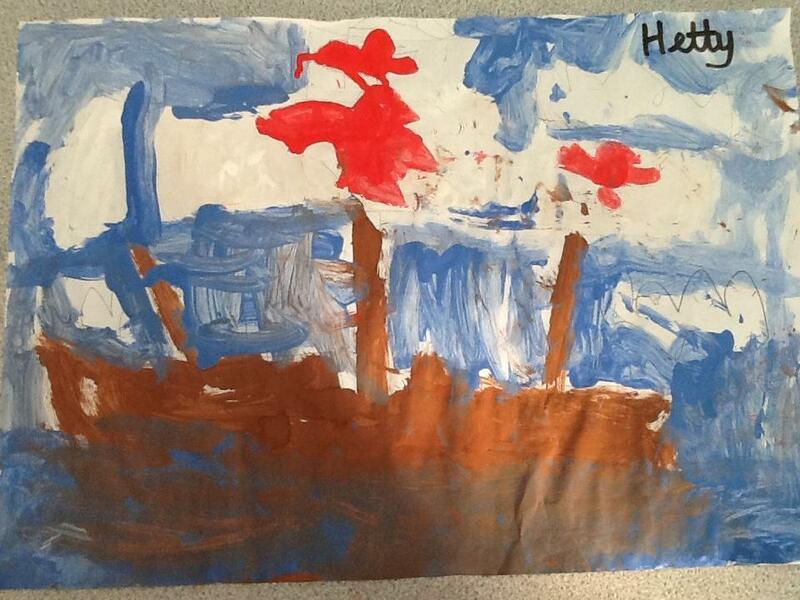 They have created some fabulous paintings as you can see below. 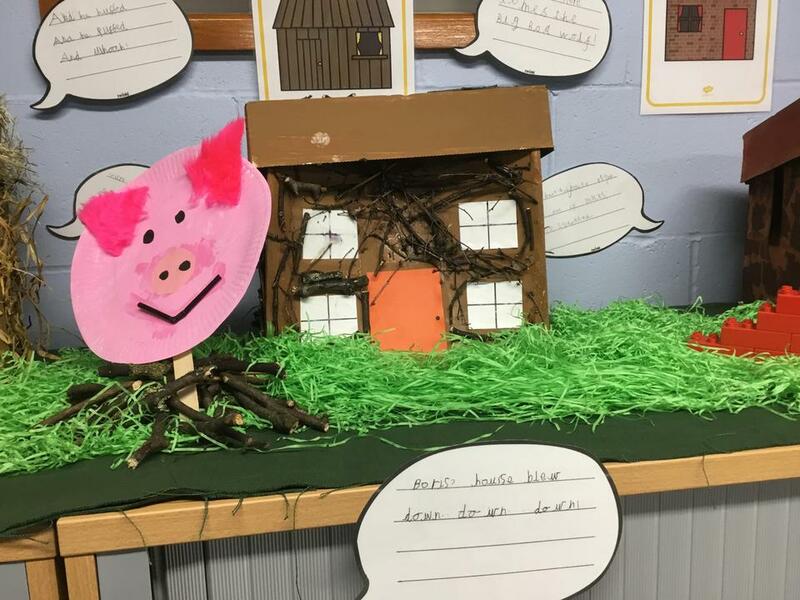 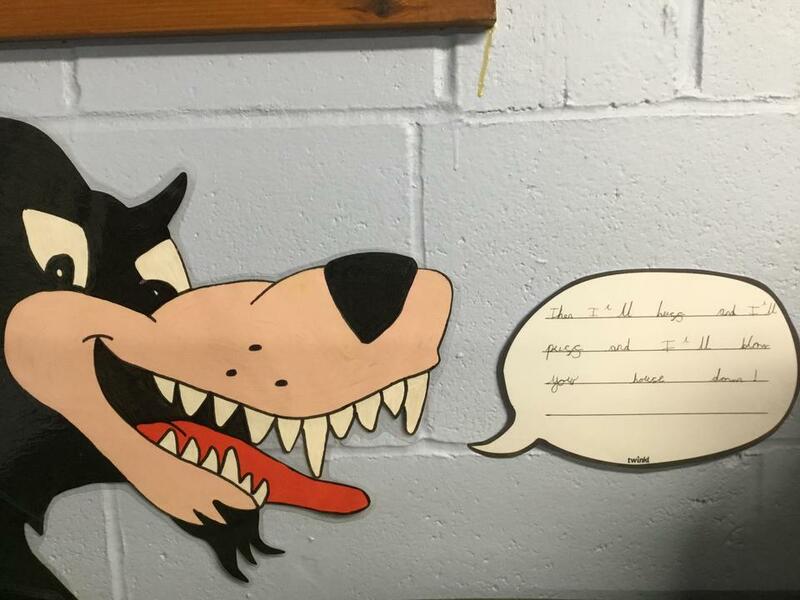 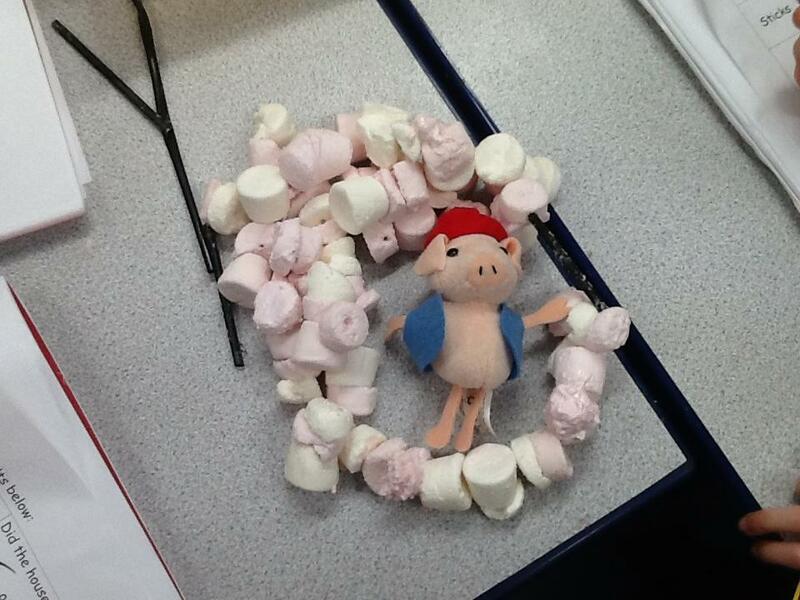 As part of our work in Talk For Writing, we have been learning the story of the Three Little Pigs. 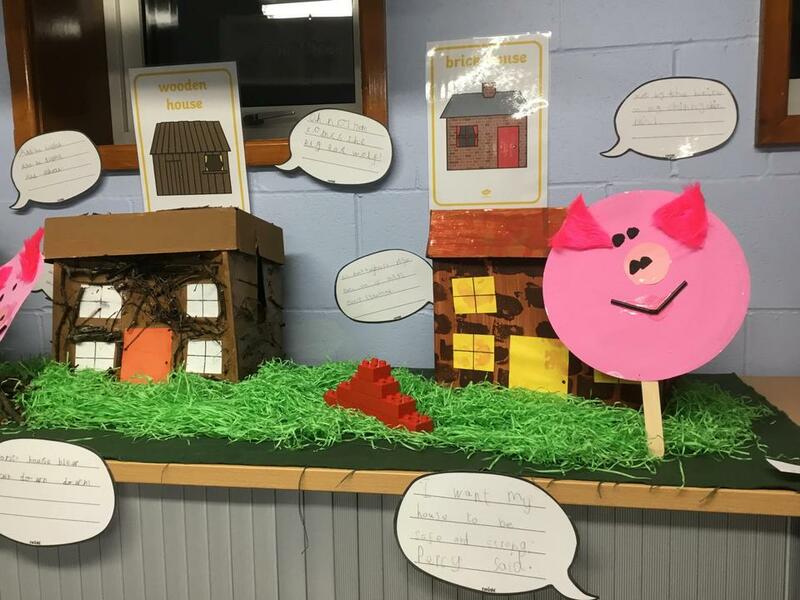 We loved making the different houses! 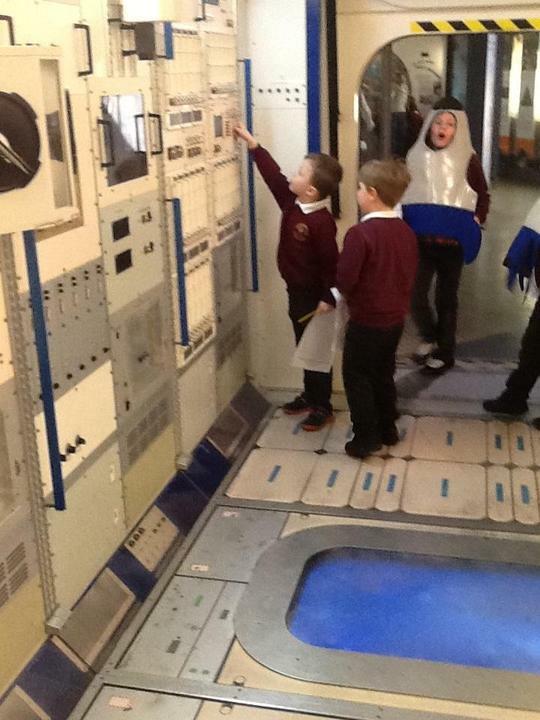 Mr Allsopp and I were very impressed by the standard of work brought in by the children on the theme of space. 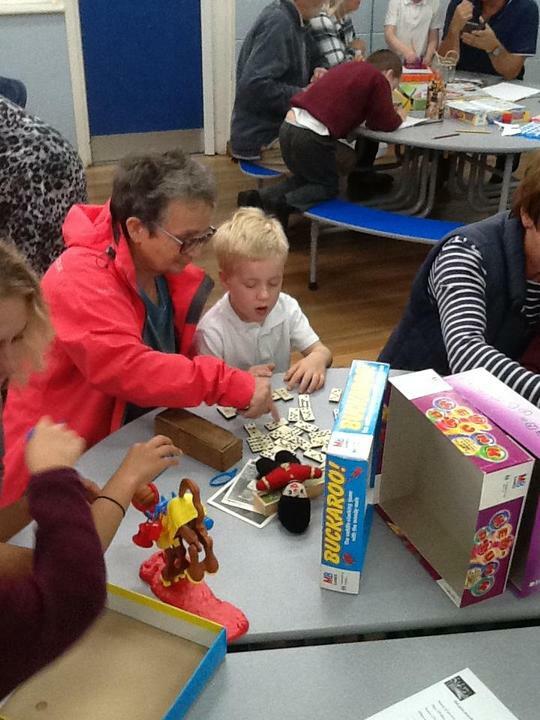 Thank you so much to everyone at home who helped and supported the children for this. 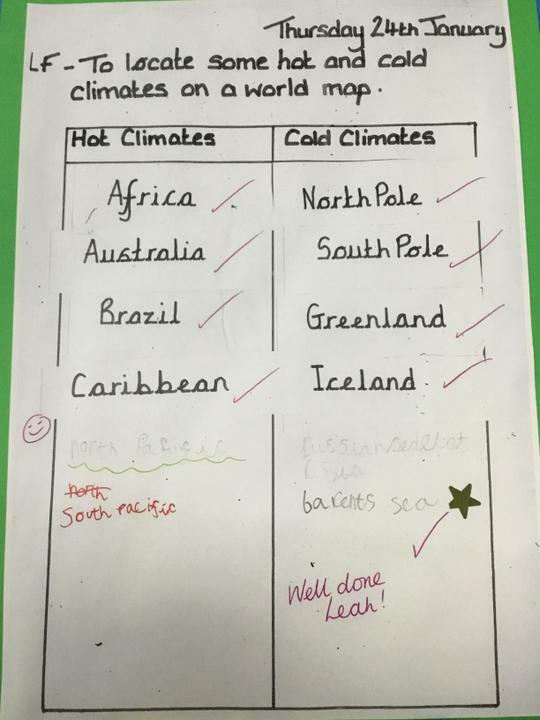 We have been learning about the different climates around the world. 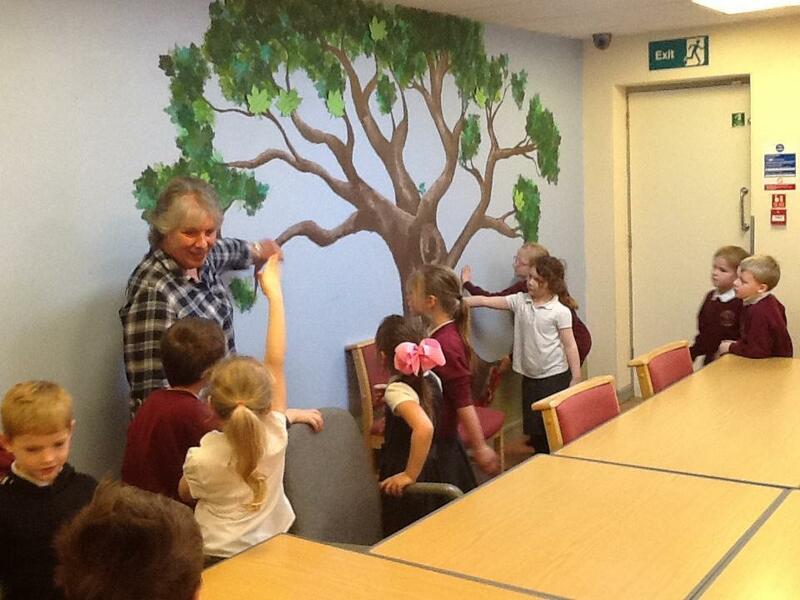 The children did a great job finding out the information. 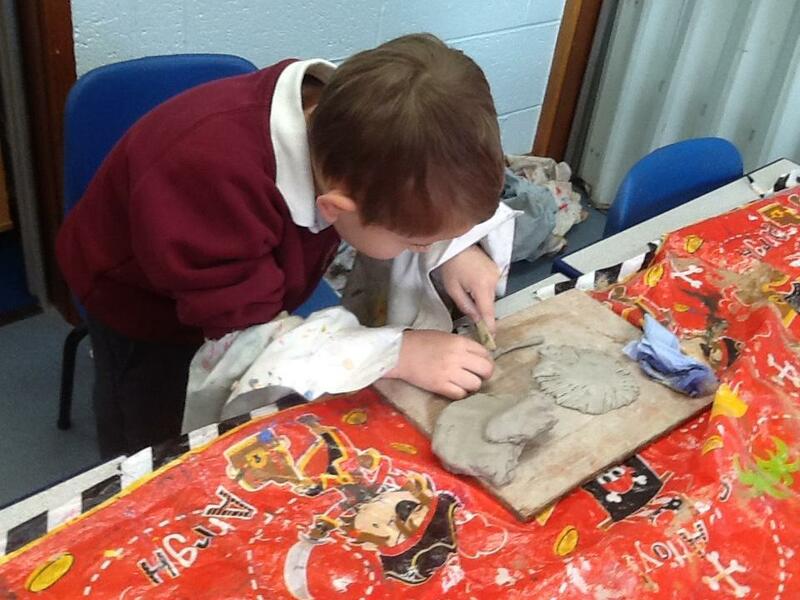 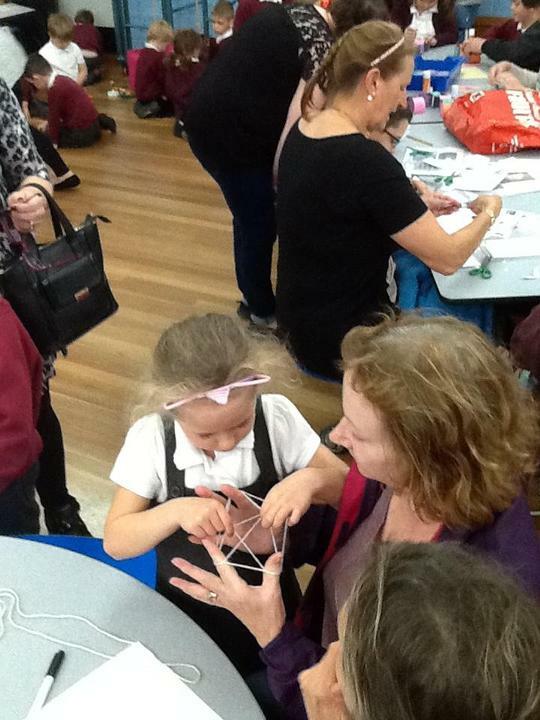 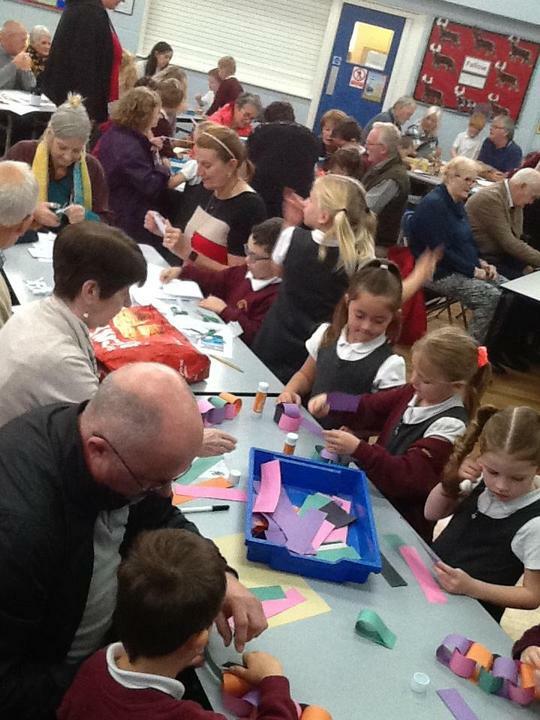 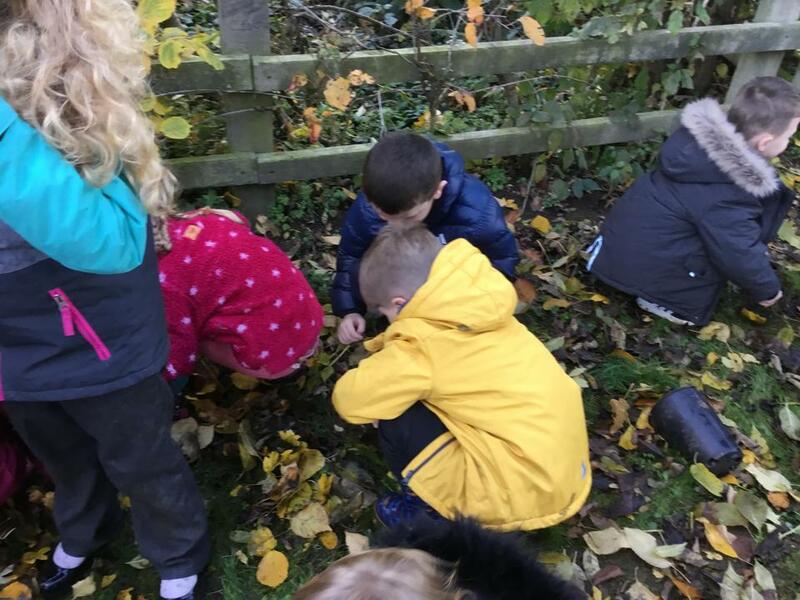 We loved taking part in the KS1 Autumn Day this term. 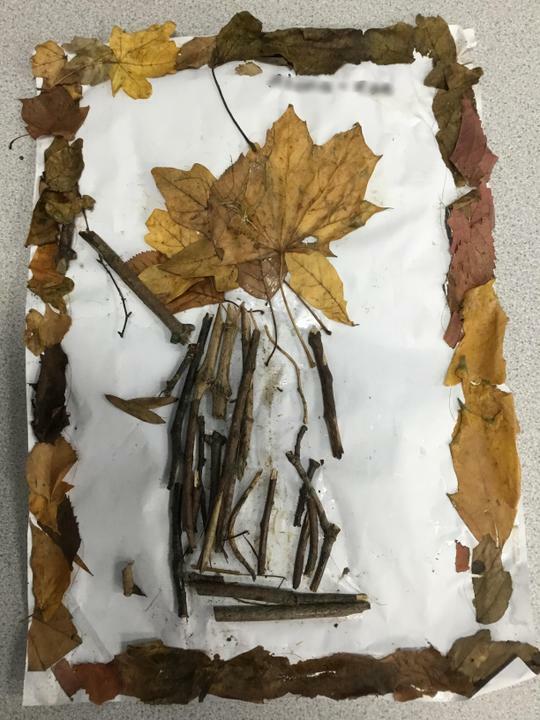 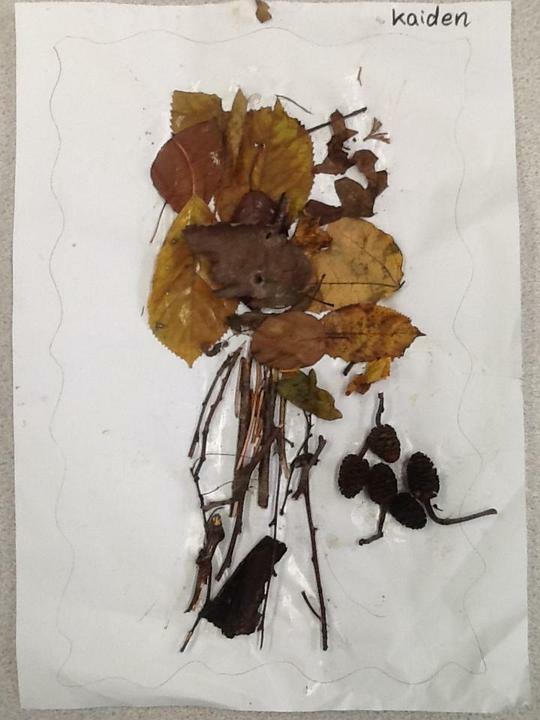 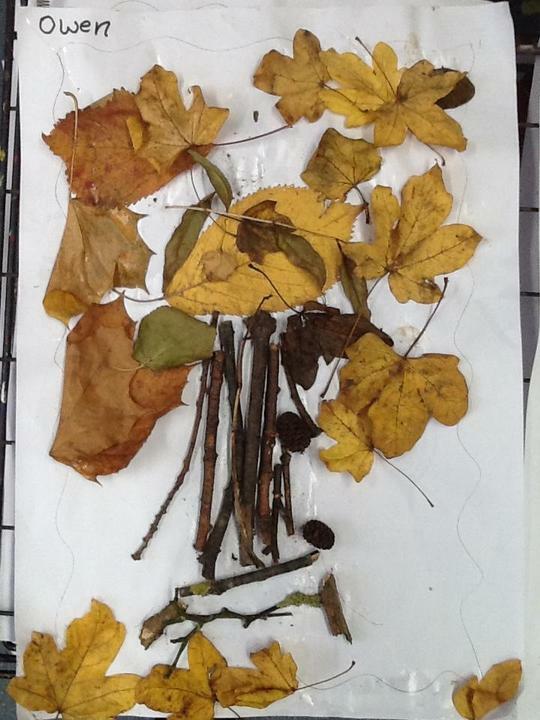 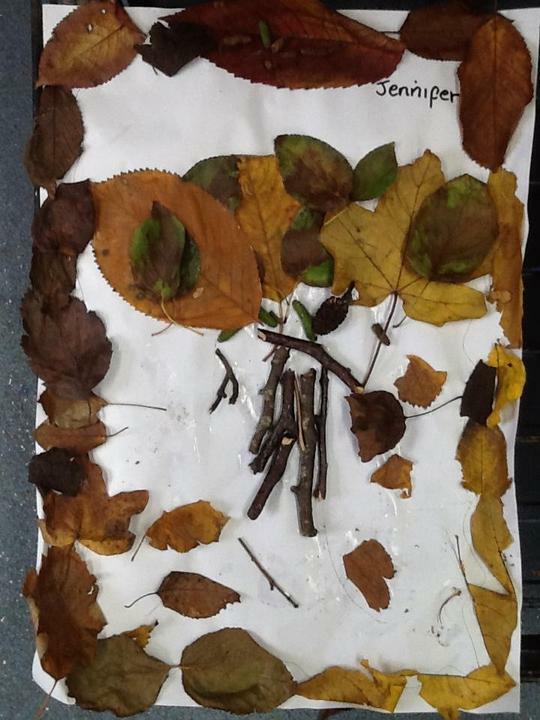 We were able to go outside to hunt for natural materials like leaves, twigs and bark to make some super collages. 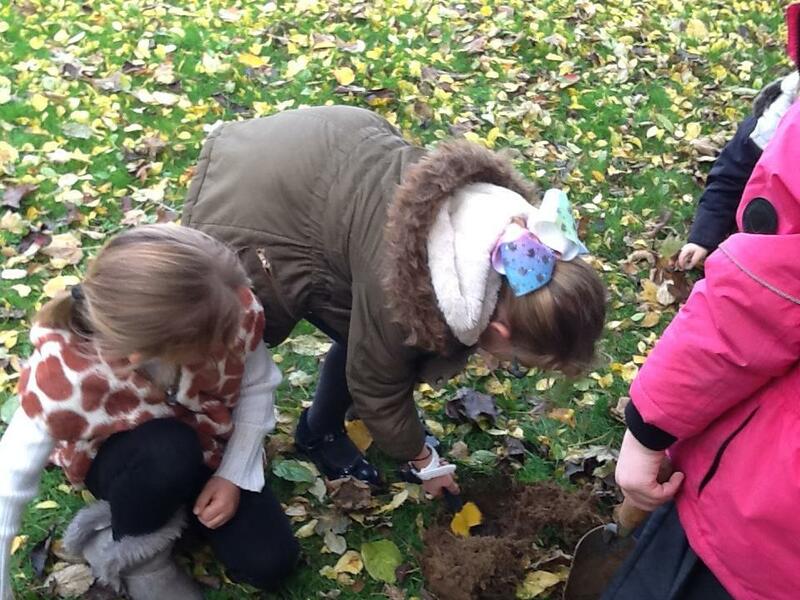 In the afternoon, we planted a mixture of bulbs on the school field. 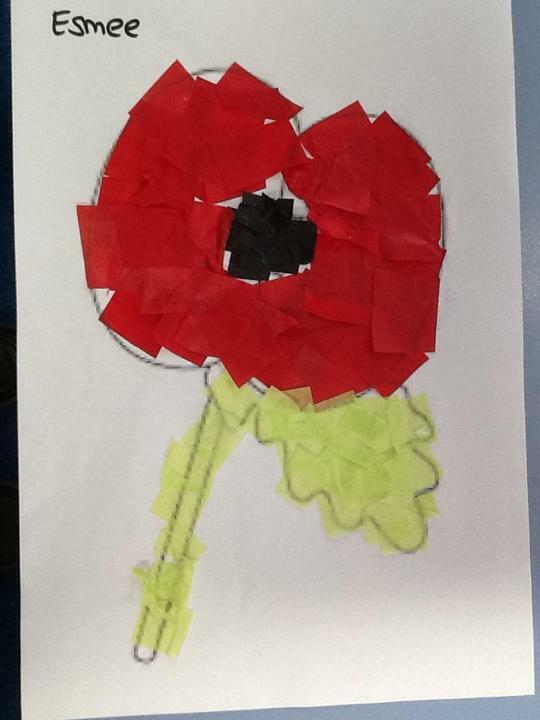 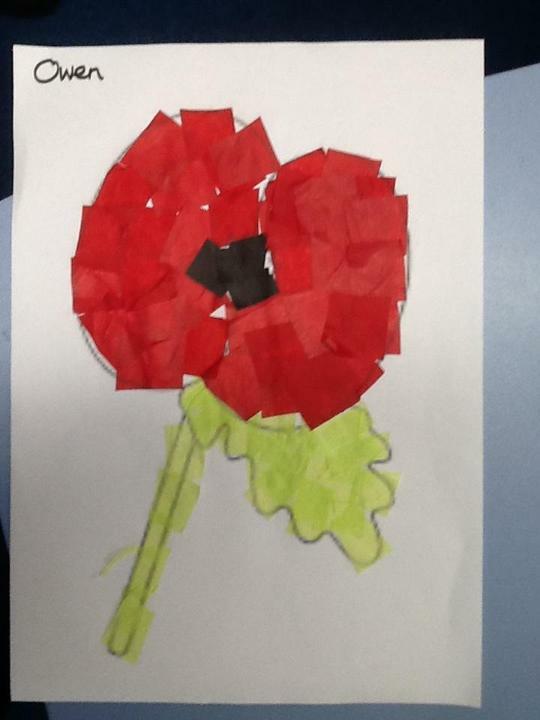 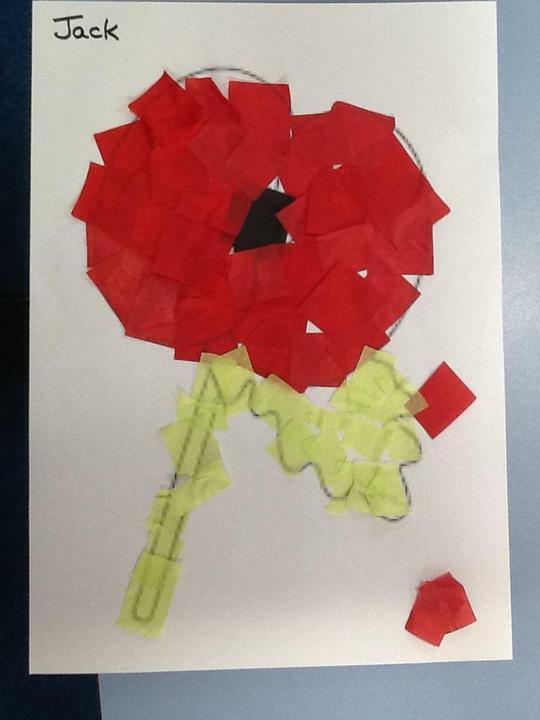 The children made some wonderful poppies to be used in our Remembrance service. 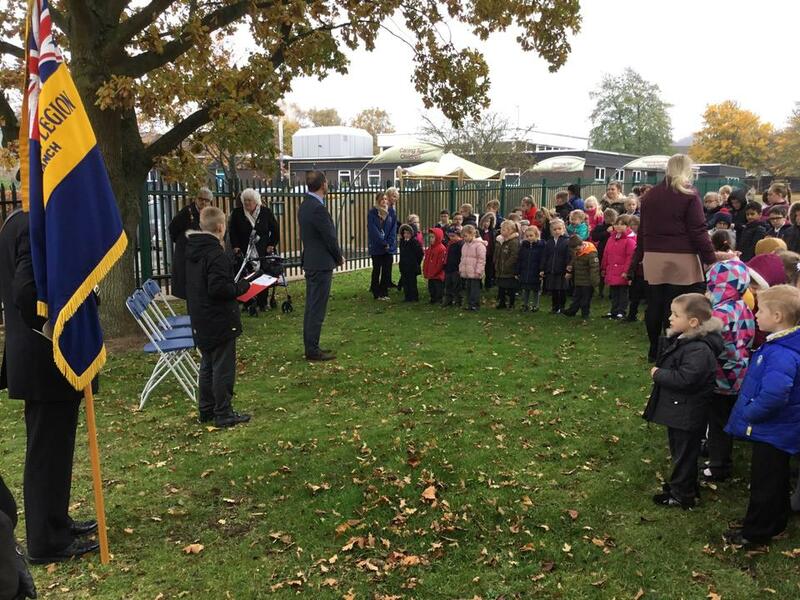 I was very proud of the way they all listened during the service on the school field. 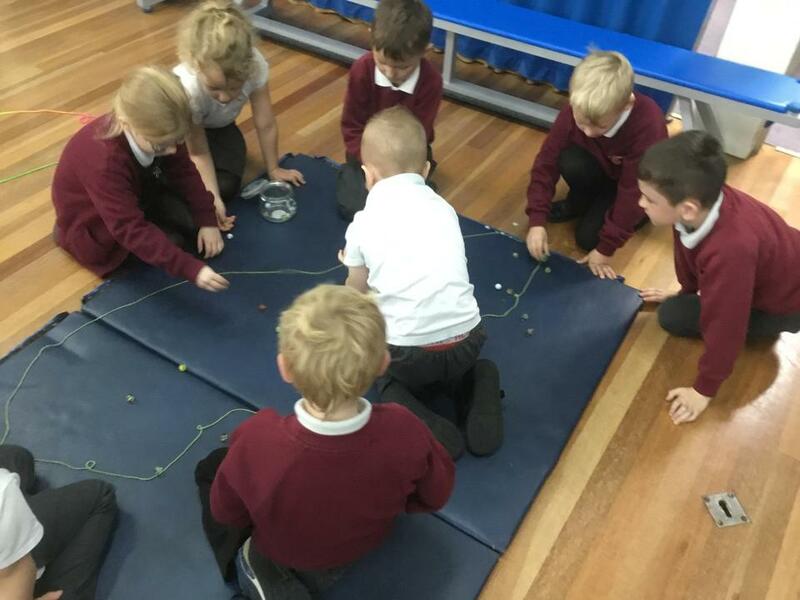 Our class, along with the children from Elk, had a fantastic morning playing games and exploring what life was like for our grandparents back in the 1960s! 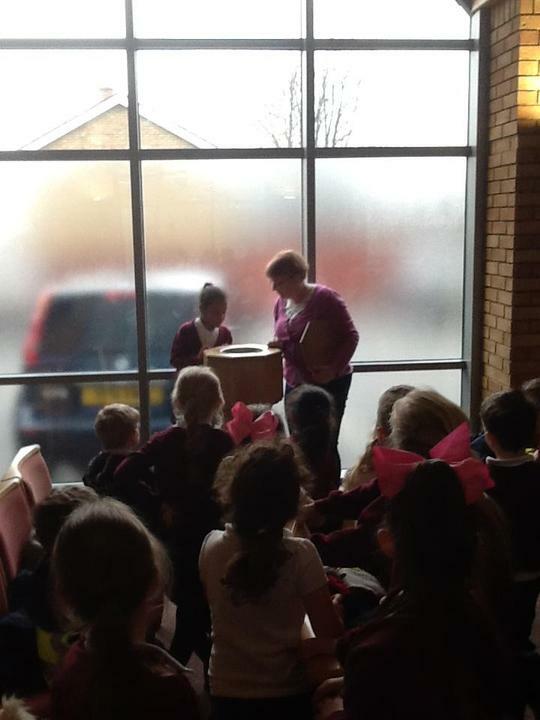 We also held interviews in the library for our grandparents to answer questions for us to use in our writing. 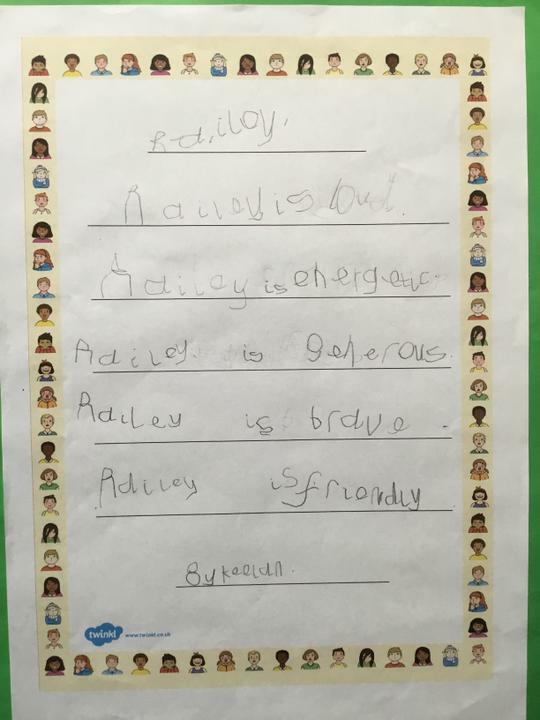 The children are settling well in Fallow Class and had fun collecting character trait adjectives to describe our friends, which we then used to create some lovely friendship poems. 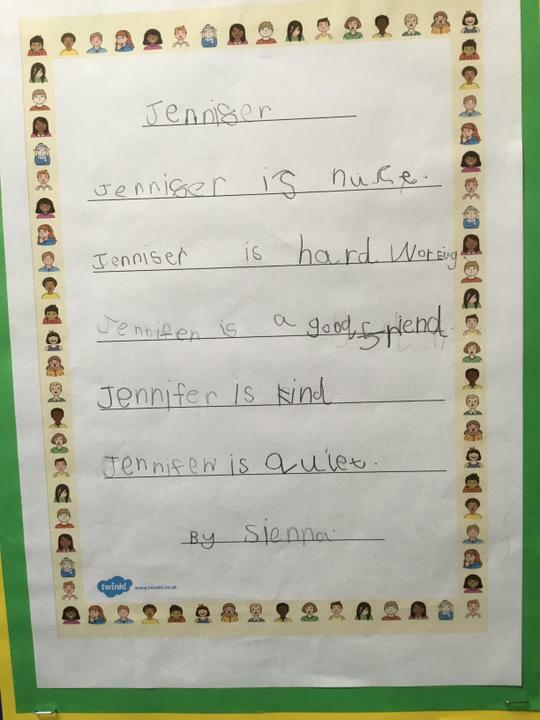 Shown off by some super cursive handwriting, as you can see. 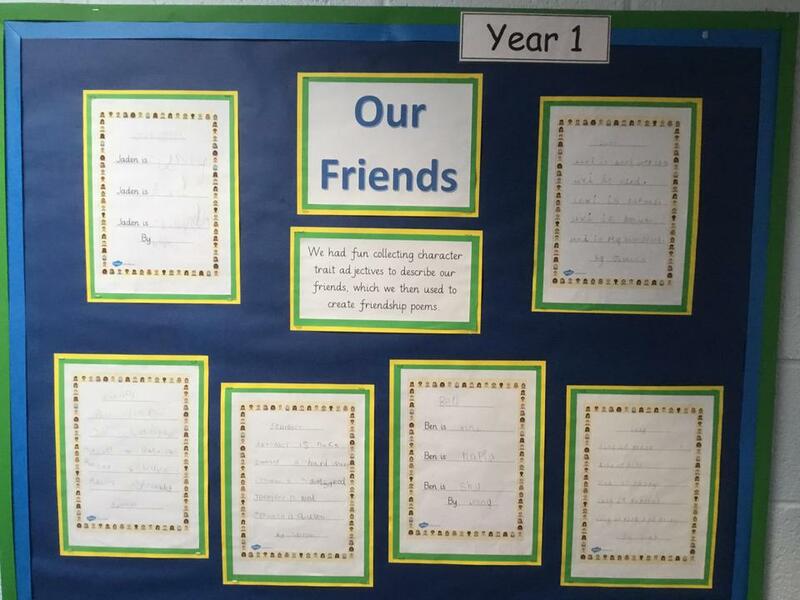 One Of our first tasks this term has been to create a display to represent our class name, Fallow. 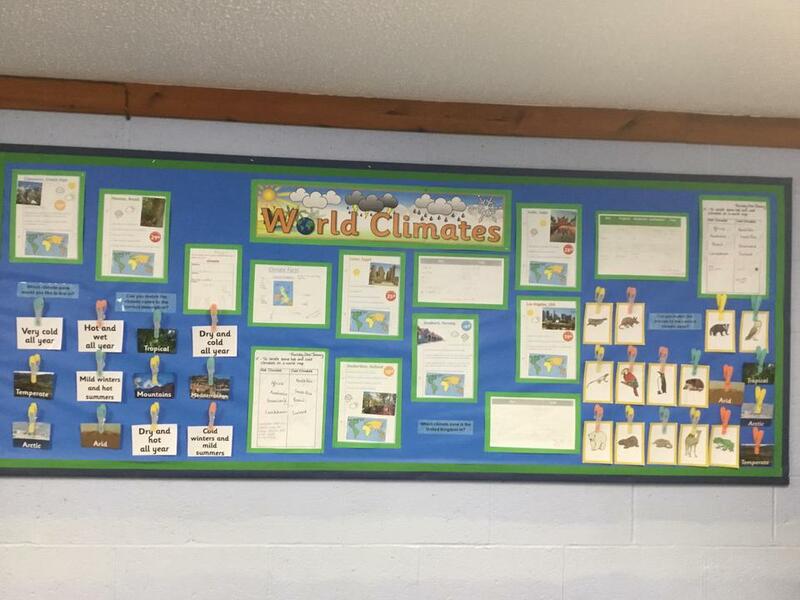 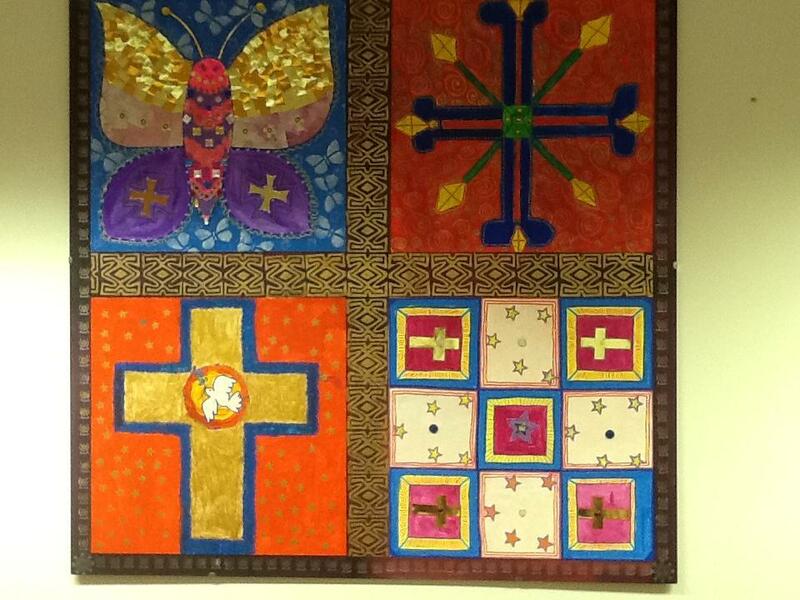 The children created some beautiful collages and we are very proud of our display in the hall.